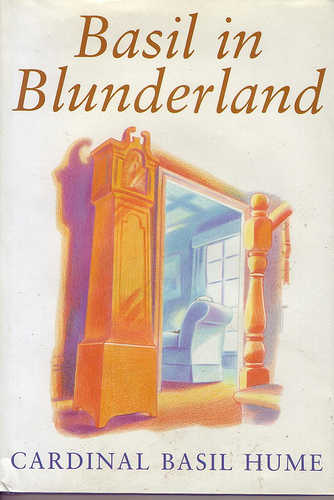 Basil in Blunderland by Cardinal Basil Hume. Published by Darton Longman and Todd, 1997. Catholicism with a Wonderland slant: Hume was a former Benedictine who became the Archbishop of Westminster: this book arose from a child’s game of hide and seek. Now it is a fact that my spiritual life is more a wandering in Blunderland than a resting and relaxing in Wonderland. I would guess that most of us would say the same of ourselves. . . . What matters, however, is that minds and hearts should be involved in the search for God, where the seeking and the finding go hand in hand. It is the process of getting to know God and learning to love Him. It is intimacy with Him that we seek. We try to go beyond every experience of knowledge and love, which we have now, to another experience, which is beyond our grasp but not entirely out of reach. 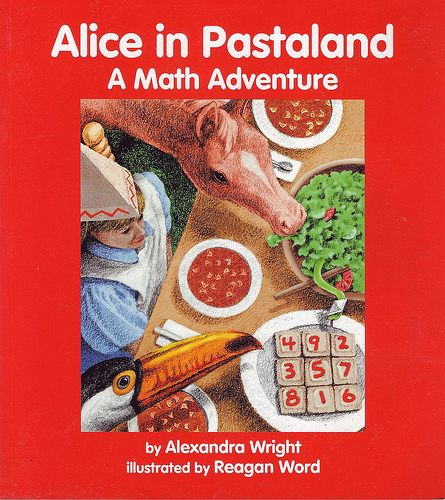 Alice in Pastaland: A Math Adventure by Alexandra Wright. Published by Charlesbridge Publishing, 1997. You can download teacher’s notes and suggestions for class activities if the mood takes you. 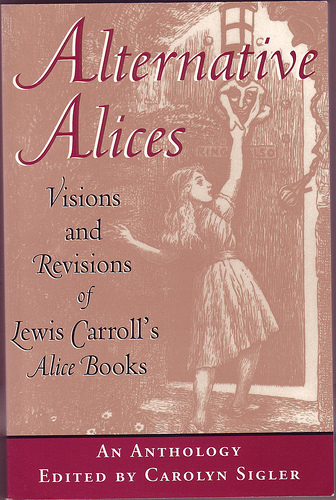 Alternative Alices: Visions and Revisions of Lewis Carroll’s ‘Alice’ Books by Carolyn Sigler. Published by the University Press of Kentucky, 1997. Paperback 8vo. In the decades following the publication of Alice in Wonderland and Through the Looking Glass, male and female writers on both sides of the Atlantic, radicals as well as conservatives, produced no fewer than 200 imitations, revisions, and parodies of Carroll’s fantasies for children. In this delightful anthology, Carolyn Sigler gathers twenty of the most interesting and original of these responses to the Alice books, many of them long out of print. Alternately satiric, enchanting, experimental, and subversive, these Alice-inspired works reveal how variously Carroll’s books were read, reinscribed, and resisted in the late nineteenth and twentieth centuries. Anyone who has ever followed Alice down the rabbit hole will enjoy the adventures of her literary siblings in the wide Wonderland of the human imagination. The book mentions, among others, E. Nesbit, Tom Hood, Anna M. Richards, E.F. Benson, Charles E. Carryl, Christina Rosetti, Frances Hodgson Burnett and Saki.